Think working around anaerobic threshold on these, they aren't lactic endurance intervals. Notes: Ate a little too close to training today. I was feeling it in my upper chest during these intervals. 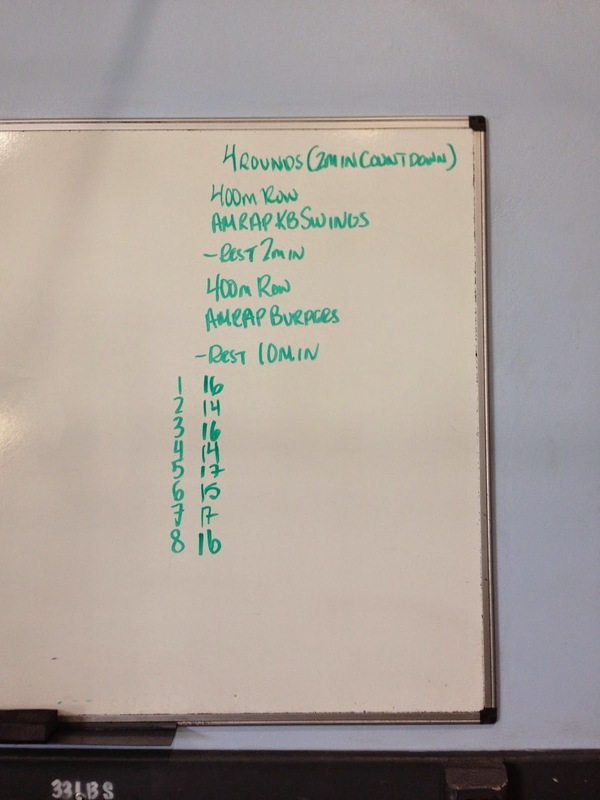 Overall however, I gave a very good effort and was happy with row pacing and output on the KB swings and Burpees. I was able to recover between efforts effectively. I really love and hate these intervals.